Disney Princess Monopoly is here so you can "bank it like Belle"
Not gonna lie. Monopoly usually has us cursing our failure to commit to tiny properties and wishing it was time to pass “Go” far too often, but that was until we saw Disney Princess Monopoly! Not only is this board game absolutely gorgeous, we’re certain that with a bit of extra Princess motivation we might actually avoid bankruptcy and win this thing! Based on the original and much-loved version, this Disney Princess incarnation features silvery Cinderella, Rapunzel, Ariel or Belle game pieces. What could be better than princesses who accrue a property portfolio, we ask you?! To play, each player – and it’s recommended for kids aged 8 and up – first chooses their princess. They then travel around the board on the roll of the dice, snapping up extra-special Disney-themed properties like Mulan’s Shan-Yu School and Jasmine’s Magic Carpet Ride. Four players can play at any one time, and when all properties are bought, the player with the most properties wins! 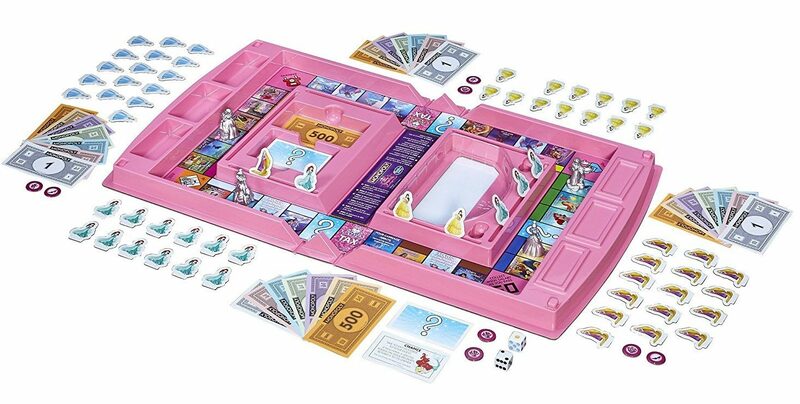 It’s a pink perfection confection of a board game – and will no doubt delight Disney fans. Sign. Us. Up! 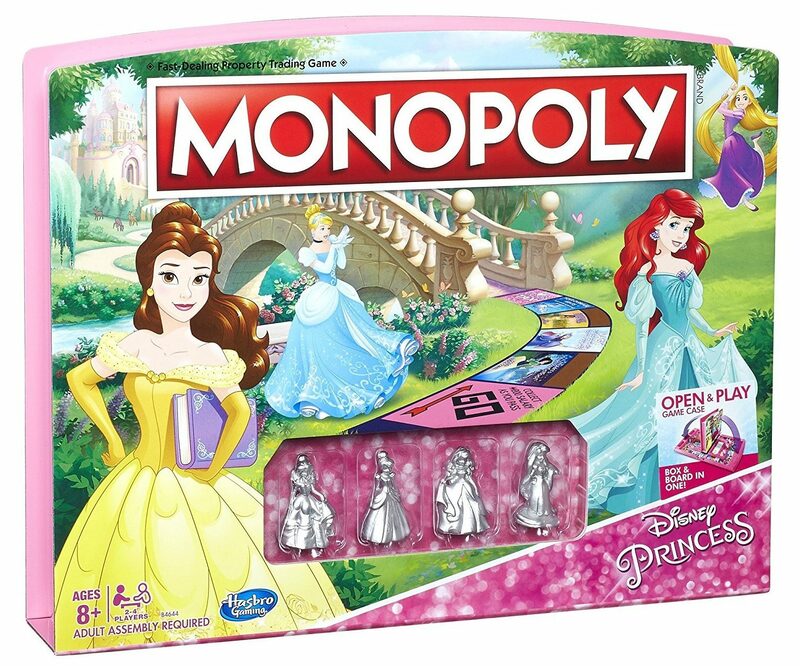 Disney Princess Monopoly is by Hasbro. It retails from $15 on Amazon.